Three years of medical set backs have finally caught up to us and even though our daughter is finally in remission, it is going to be a lean Christmas in this house. 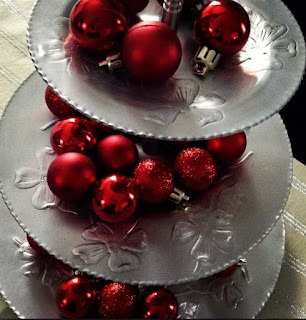 I need to get out my crafting skills so I can to make, bake and sew some Christmas gifts for everyone. Growing up there was times when money was very tight. My parents always made Christmas special. I learned from a young age that money is not required for making a truly magical Christmas. In fact, those can be the most memorable and joyful Christmases ever! I am writing this post in hopes that someone else might benefit from our hardships and joys. I know my family is not alone in their struggles financially not just at Christmas but all year round. Christmas seems to magnify those struggles even more because you always want to be able to provide your child/children with a Christmas to remember and in this day in age of so much consumerism it makes it difficult to get away from that. Three years ago that all changed for my family. 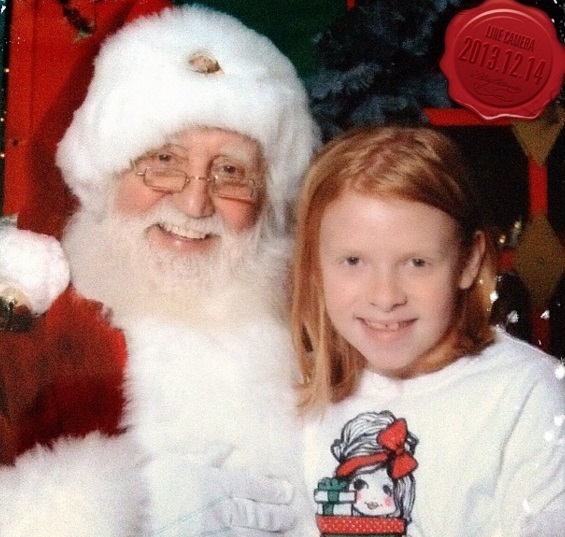 Just 10 days before Christmas our middle daughter was rushed to the hospital were they gave her days to live unless they could figure out what was wrong with her. She has finally gone into remission but the disease is still active in her body and she is still on different medications to keep her in remission. Fast forward to now and our situation - given the grave circumstances of her health for the last three years it has really allowed us as family to prioritize what truly matters. Having us all together healthy or otherwise is the ONLY thing that matters to me. This year I spent some time going around looking at various stores Christmas decor for inspiration. I had no intent on purchasing any of it but I wanted to get some ideas of how to decorate with what we already had at our house. Thankfully we have our tree because of my allergy to real trees we always put up an artificial tree. I have always found that the time we spend together playing games, baking, doing a movie night or even just talking are the memories that last a lifetime for my family. Look around your house at the toys you purchased your children last year I bet very few of them are being played now. I know a few of the gifts we gave our daughter last year came from thrift stores and we just cleaned them up really good and one of them is one of the few things she still plays with now. My older children have decided to draw names for Christmas this year and start that as a new tradition and I plan on making gifts for my children well as many as I can and at least get them one or two things they would like. As for a gift for my husband we do not exchange gifts so I don't have to worry when it comes to his gift. We know that money is tight and we would rather put our resources to our children's gifts then spend anything on ourselves. Even if you have limited resources it is the perfect time to start new traditions! Every Christmas eve we take a drive and look at the lovely Christmas lights while listening to Christmas music. We also always have Chinese Food on Christmas eve. I think keeping the traditions going is really important for us as a family and even creating some new ones are fun. I have fond memories of making Christmas treats during the holidays. My children all love baking and helping me in the kitchen and creating different treats for us to enjoy over the holidays. No matter how little money we have we always make sure that we give what we can to others so our children know what is it like to give to others in need. Teach your children to serve others is important. The world is full of people who feel entitled and are greedy. 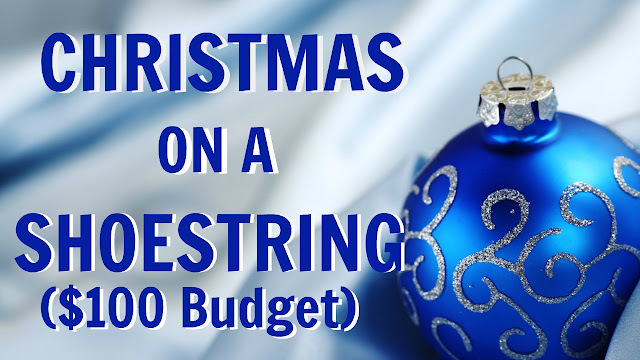 Every Friday I will be writing more on our $100 Shoestring Christmas and different things I have found to make and do with my family to make the Christmas season more memorable and fun. If you have any ideas you would like to share with my family of things you have found in the past that have helped you stay on budget for Christmas please feel free to share them with myself and my readers.